Welcome to Day #4 of Chocolate and Starches Theme Week. 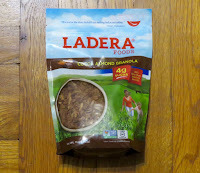 Today's Chocolate Almond Granola was made by Ladera Foods (San Mateo, CA). Note the position of the brown sugar in the ingredients list (below). It's much further down the list. 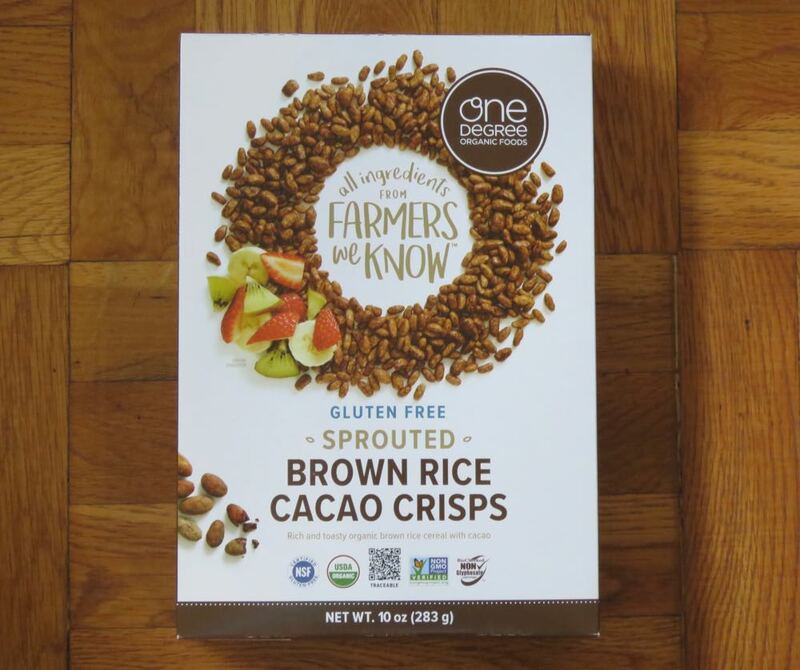 Ingredients: whole grain oats, slivered almonds, maple syrup, olive oil, cocoa powder, brown sugar and salt. It had a light crunchiness and texture, and rich flavor to it. 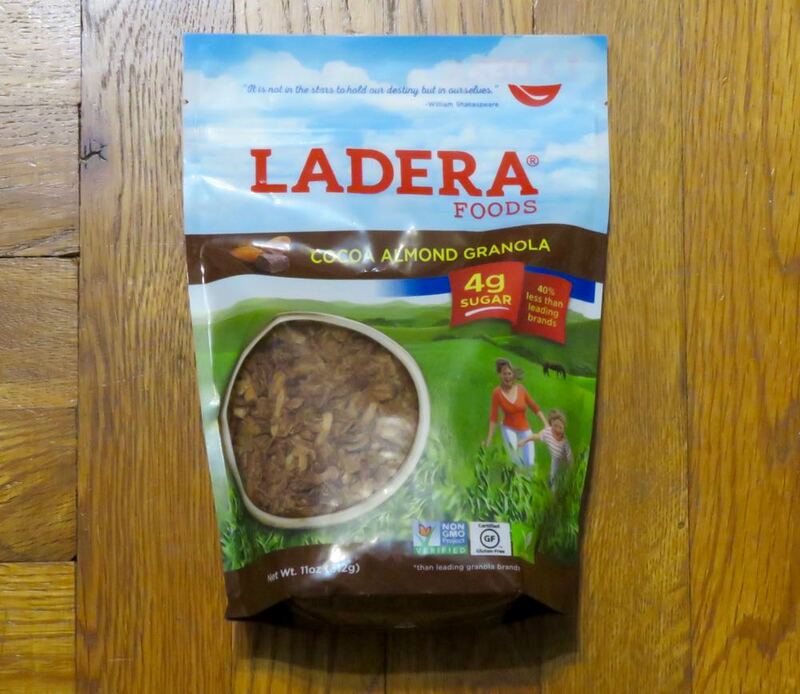 *Today's granola was based on a family recipe; and their offering is created in the San Francisco Bay Area. Most granola cereals/snacks are oat-based. 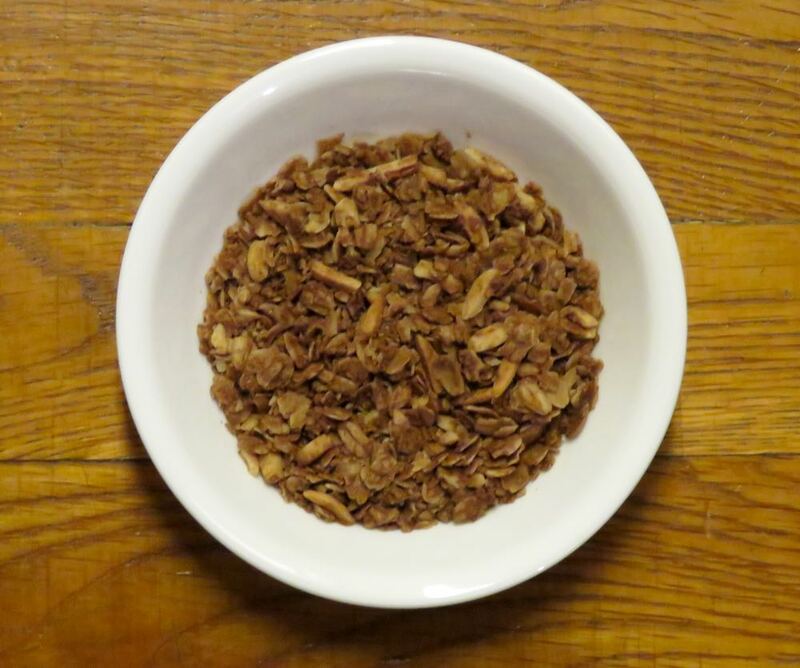 When we grew up in the Bay Area, a family we knew had developed their own recipe they developed in 1968 for a three-ingredient granola (oats, butter and brown sugar). Their dad lightly stirred these three ingredients together in a frying pan on the stove. Their kitchen smelled like oatmeal cookies. Today's granola is likely healthier without the butter. However, we're also glad our first taste of granola was imbued with good memories from a friend's kitchen, where most granolas were based on homemade recipes as well.